Paul Krugman – Nobel Prize-winning economist and vocal critic of digital currency recently stated that the cryptocurrency penetration in the monetary system has taken the system back by 300 years. His scepticism regarding the crypto industry was clearly reflected in his current two-fold explanation regarding the industry. He said that “Even though cryptocurrency has introduced a new era of technology but, it has set back the monetary system by 300 years”. This statement came out in The New York Times under the title “Transaction Costs Tethers: Why I’m a Crypto Skeptic”. In his talk with The New York Times, he also mentioned the transactional cost the industry carries. In his view, the basic ideology behind the bitcoin transaction involving the complete history of the past transactions goes against the tradition trend that has managed to continuously move towards “frictionless” transactions. Explaining further, he also mentioned how odd it is for people to become so enthusiastic about the new cryptocurrency industry when it is going in a completely opposite direction to the traditional means. Also, he added that instead of the near frictionless transaction, the cost of doing business and transferring bitcoin to other crypto coins require the complete history of the past transaction. Meaning, he said, instead of creating money by one click, now we have to mine ( create money through resource-intensive computations). Coming to the second fold of his statement, he also mentioned how the cryptocurrency does not have an underlying value. In his view, the cryptocurrency industry is a mere bubble that will burst once the faith in this industry is lost. He explained it by saying that there is no thread in this industry that can tether it with reality thus, its value entirely depends on the self-fulfilling expectations, making the total collapse of this industry a probability. Digging deep, he explained his point by mentioning the real-life connection of Gold and silver. He said along with possessing the “store value” these items are also used in real things like jewellery and filling teeth. He finally concludes by saying – “Tethering is one of the biggest weakness of this new cryptocurrency industry”. Well! 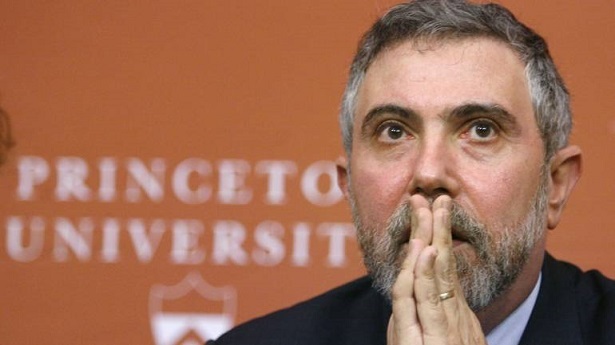 these are the two folds that Paul Krugman, the world famous economist discussed with The New York Times when he was asked about his point of view on the trending cryptocurrency industry. Now Widows, Senior Citizens Do Not Need Aadhaar Card for Collecting Pensions! NASA on its edge to test the Hardware to fend off the GPS Hackers! Washington Utility Announces – No More Crypto Mining Applications!! !